(1) What can KILLCODING do? 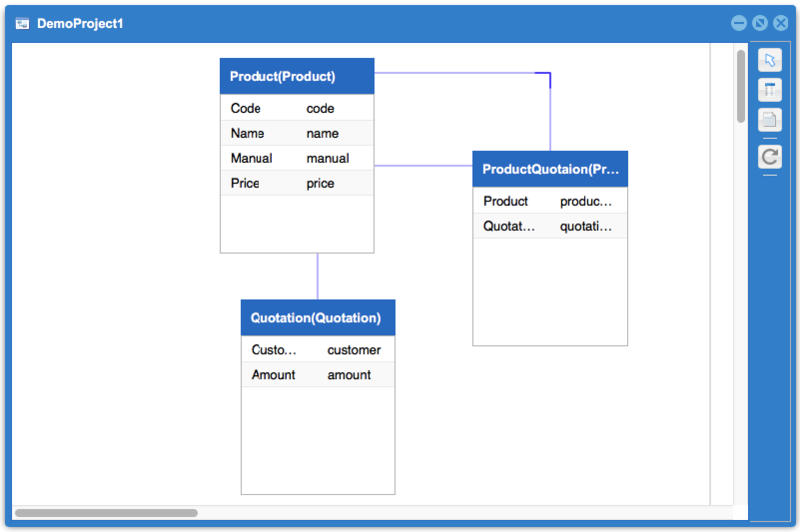 The main entry for the design use case diagram and class diagram This is the first step in creating an application. Each project can use a variety of different solutions to achieve a design of a variety of environmental migration plan. 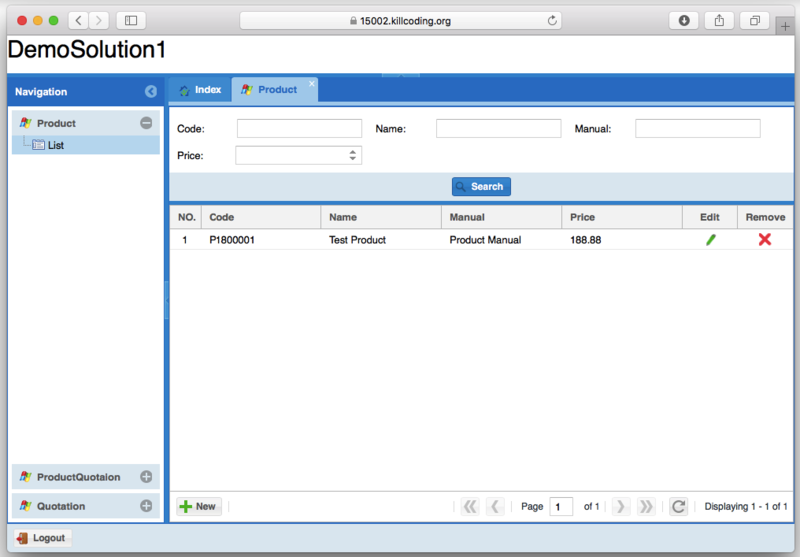 Integrated in the Cloud IDE, with independent Linux Terminal capabilities, allowing you to easily manage the operating environment and database. 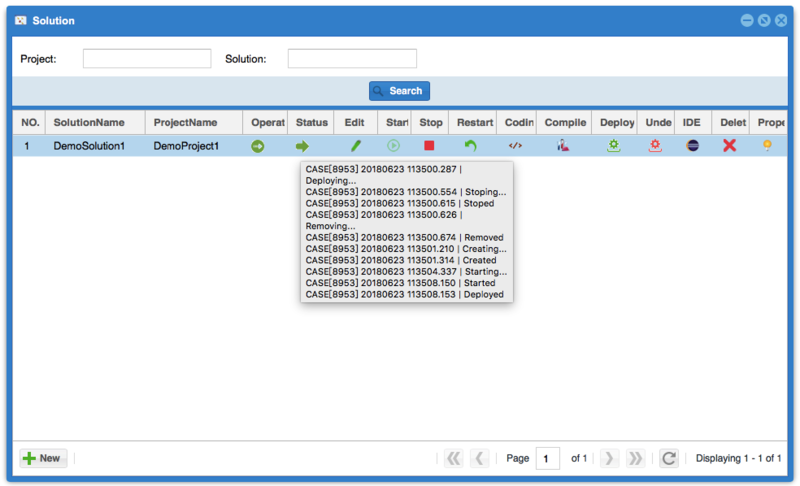 After the solution is successfully deployed, it will show here the detailed running data of the Docker container. The program template relied on in the solution, in addition to the official template, the user can also create a more personalized style template. 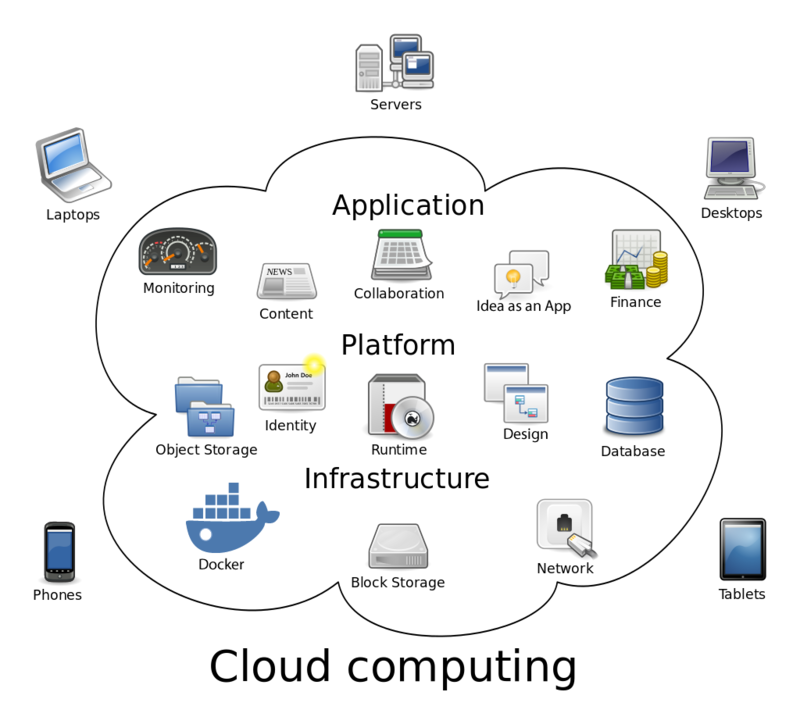 This is a Docker image that the system has prepared for the user. The current image source only allows the user to use the official one. This is a module for managing users and permissions. (2) How to create a new project? 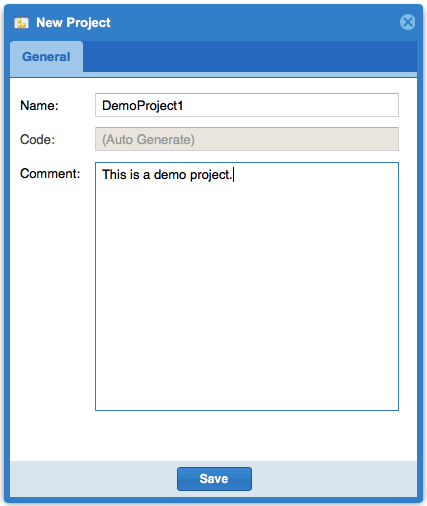 Enter the project name "DemoProject1" and click the "Save" button. The new project is created successfully. (3) How to add use case object? 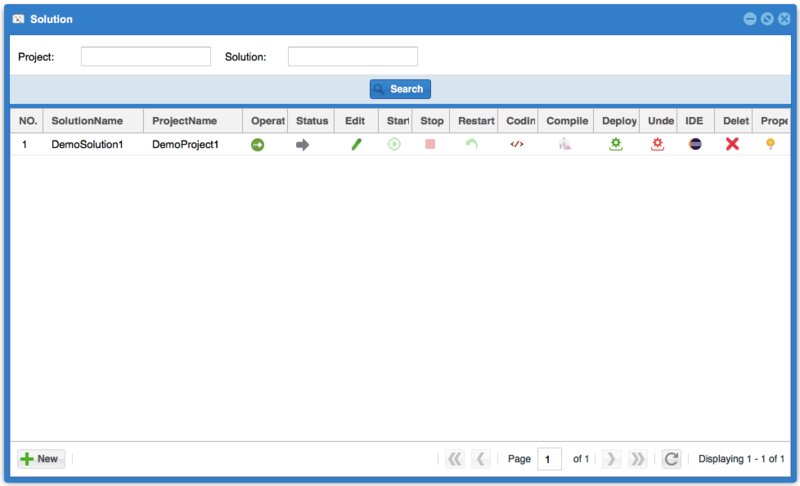 After the project is created successfully, we need to import the basic resource package. 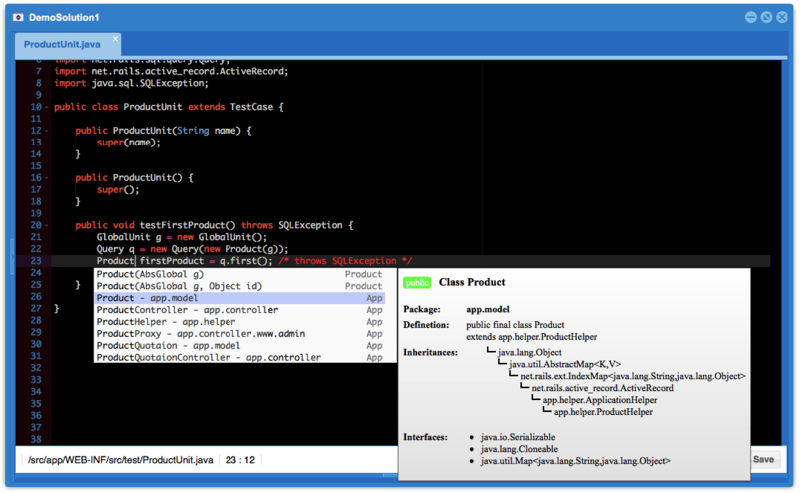 Double-click on the actor or use case object to pop up the edit window and update the object's name and code. 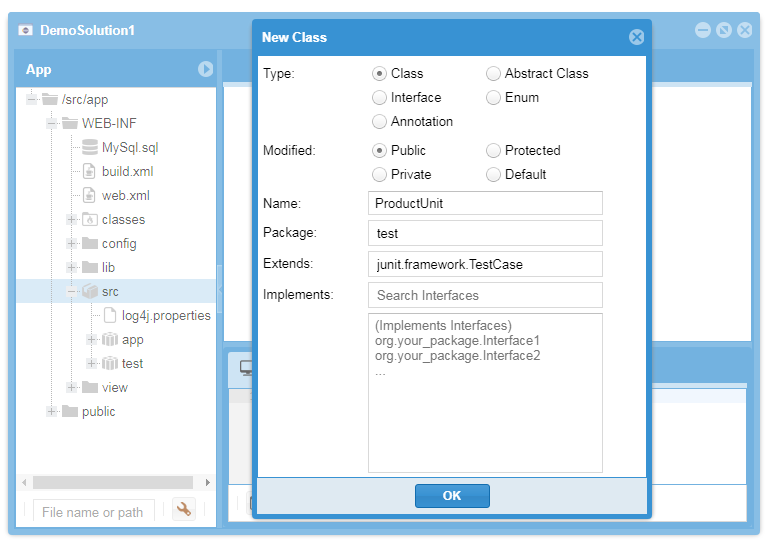 (4) How to build a class diagram? 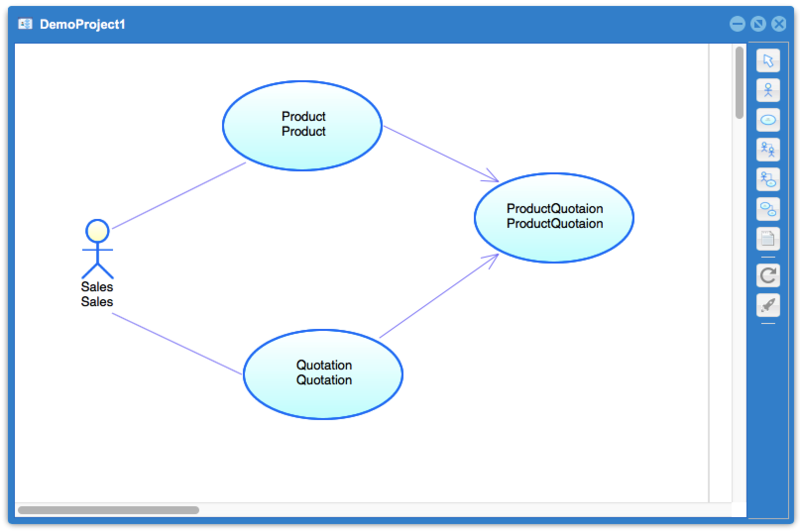 Back to the Use Case Diagram window; click on the icon , the Build Case Diagram window show. 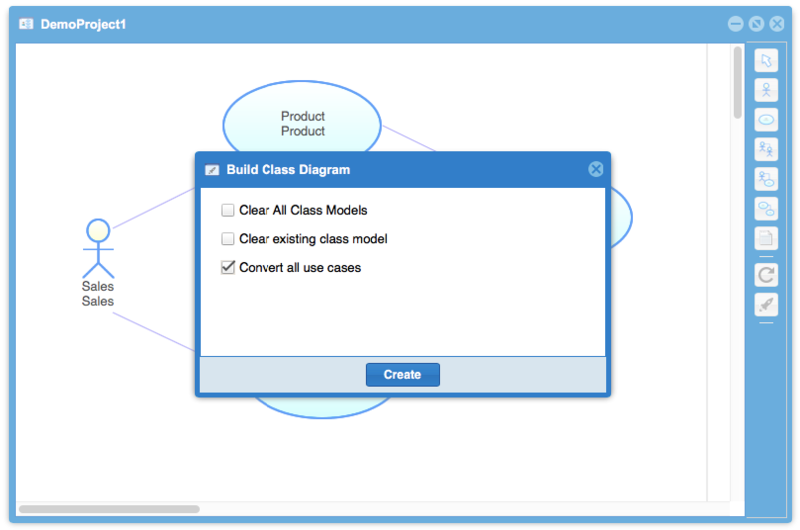 Prompt "The operation has been completed" and pop up the class diagram design window. (5) How to add properties to class model? Double-click on the class model to pop up the edit window and click the tab "Projerties". Click the icon and types the name and code. (6) How to new solution? (7) How to use I2AE for programming? About 10 seconds or so of the program's source code will be compiled. (8) How to deploy the solution? About 10 seconds or so the solution will be deployed to the Docker container. 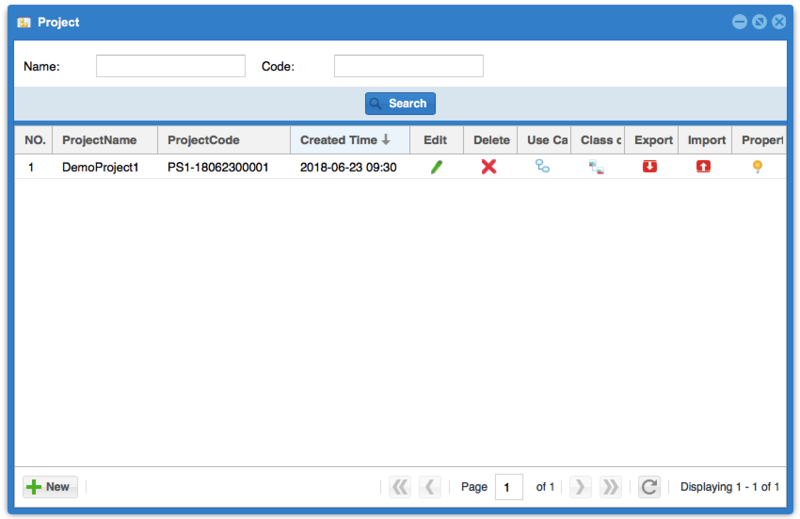 (9) How to view the deployment report? (10) How to view your application? Click the button "New", enter some data and click on the button "Save". 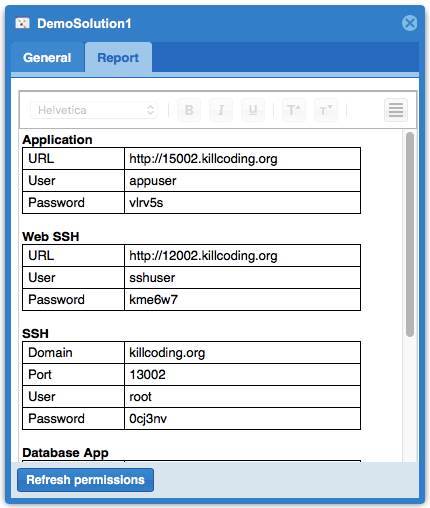 (11) How to use Cloud IDE? 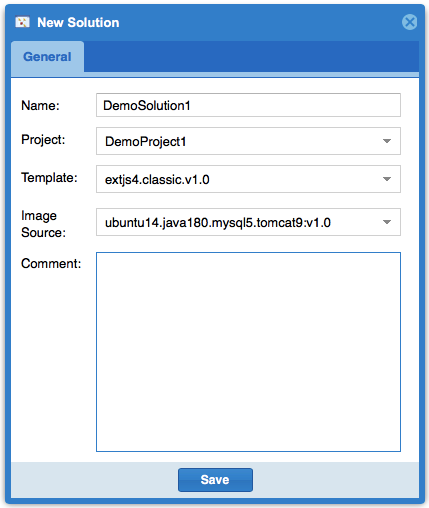 (12) How to use content assist on Cloud IDE? 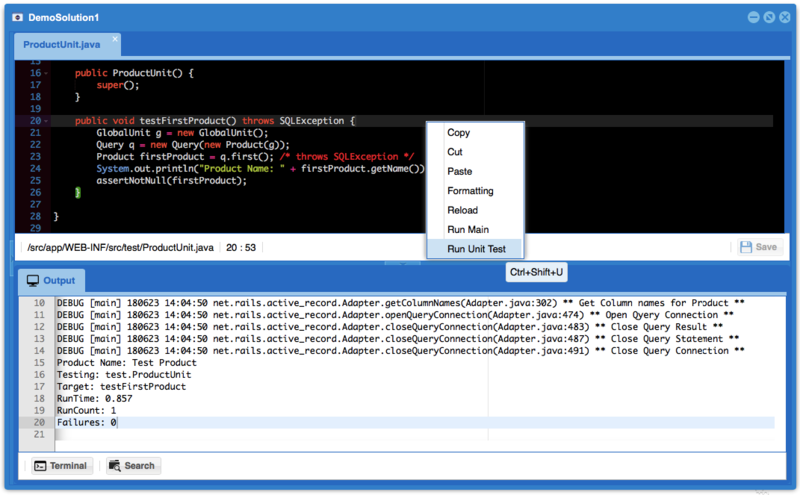 1.In editor input "java.io. ",When you enter "." will active content assist. (13) How to run Unit test? Test results and log will be display in the "Output" window. 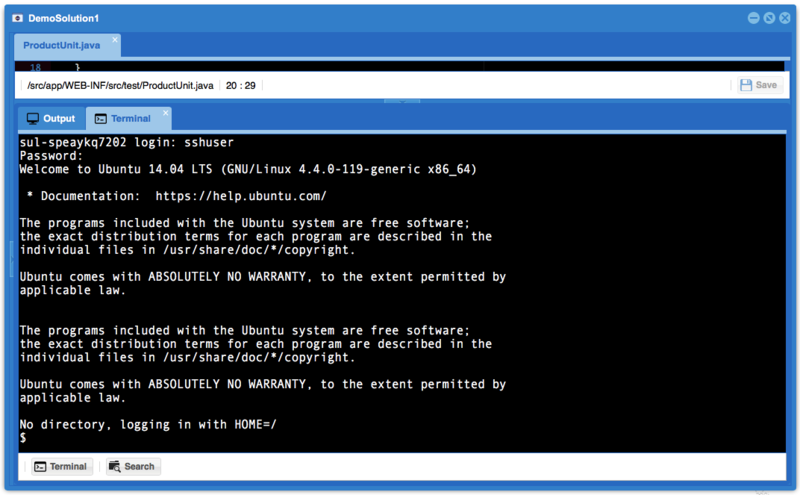 (14) How add a cloud terminal? Enter the command "su -l root" to switch to root user authority.